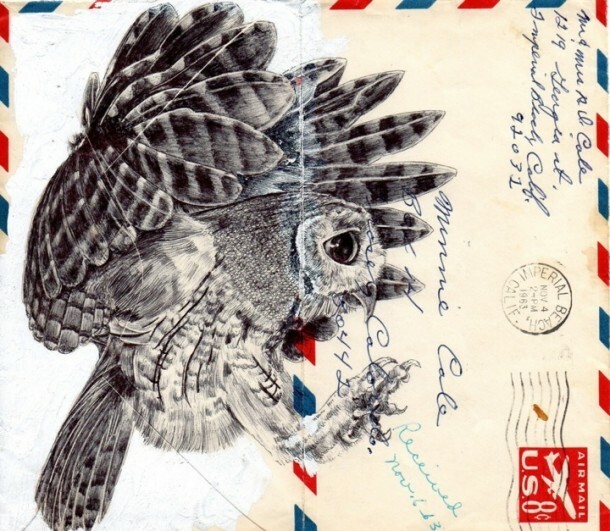 London-based artist Mark Powell reuses old envelopes as canvases to produce incredible drawings. His sketches are made using only a Biro pen. Mark Powell artista inglese con base a Londra, riutilizza vecchie buste vecchie come tele per i sui incredibili disegni. I suoi disegni sono realizzati usando solo una penna biro. Ugh! You are amazing! This is going to the top of my list in inspiration. The detail is impeccable. And the emotion that these images evoke words cannot express. Raw beauty. I just want to tell you that I am very new to blogging and honestly savored this page. Most likely I’m going to bookmark your website . You surely have tremendous stories. Thanks a lot for revealing your website. I am transforming organizing firms as well as would love to relocate my WordPress Blogs over. Does anyone recognize of an easy method to accomplish this?. Just how to make an application for google adsense account for my all 3 blogs as well as 2 sites?